Finding strength. The fast skeletal muscle activator (FSTA) CK-2127107 (CK-107) aims to help improve the function of fast skeletal muscles in people with ALS by amplifying signals from motor neurons damaged by the disease. 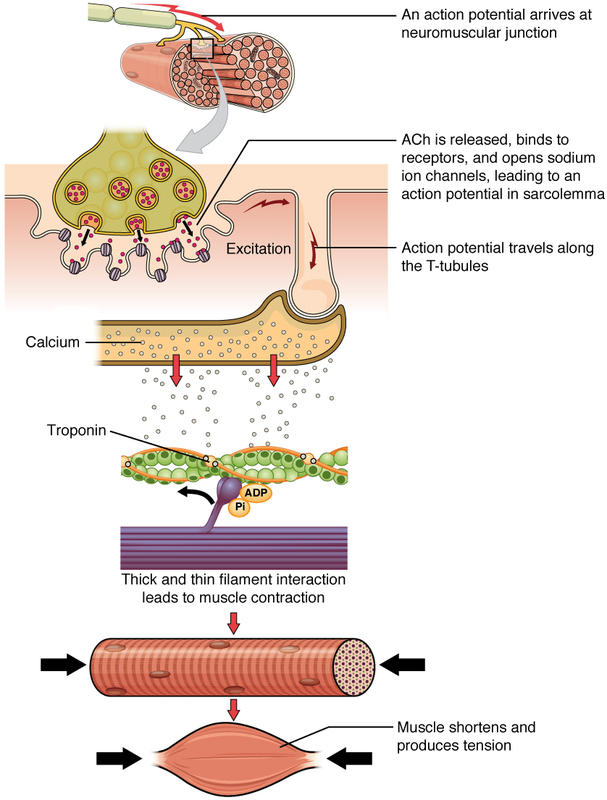 [Image: Muscle Contraction. OpenStax under CC BY license]. Researchers are gearing up to evaluate the potential muscle booster CK-107 in the ALS clinic. The drug, developed by Cytokinetics in California in partnership with Astellas Pharma in Japan, will be tested at the phase 2 stage. CK-107 is also being evaluated as a potential strategy to boost muscle strength in people with spinal muscular atrophy. The potential treatment approach, like tirasemtiv, aims to help people with ALS breathe better and keep their muscles stronger longer. But unlike tirasemtiv, CK-107 is unable to cross the blood brain barrier, and therefore might have fewer unwanted side effects (Shefner et al., 2013). CK-107, a fast skeletal muscle activator (FSTA), aims to increase muscle strength and decrease muscle fatigue in part, by slowing the release of calcium bound to the muscle protein, troponin (Russell et al., 2012). The strategy builds on previous clinical studies led by Cytokinetics’ Fady Malik in San Francisco, California, which found that the FSTA tirasemtiv increased the sensitivity of muscles to neuronal inputs which are known to be reduced in ALS (Hansen et al, 2014). A total of 445 people with ALS are expected to participate in the 12-week phase 2 clinical trial. The double-blind randomized placebo-controlled study aims to determine whether CK-107 is safe and tolerable for people with ALS and improves breathing capacity (SVC). Muscle strength and function (ALS-FRS-R) will also be evaluated. Meanwhile, a phase 3 clinical trial of tirasemtiv is ongoing. More than 700 people with ALS are participating in the 54-week double-blind, randomized, placebo-controlled study. The results, according to Cytokinetics’ Robert Blum, will be presented at the International Symposium on ALS/MND in Boston in December 2017. Shefner JM, Wolff AA, Meng L, Bian A, Lee J, Barragan D, Andrews JA. 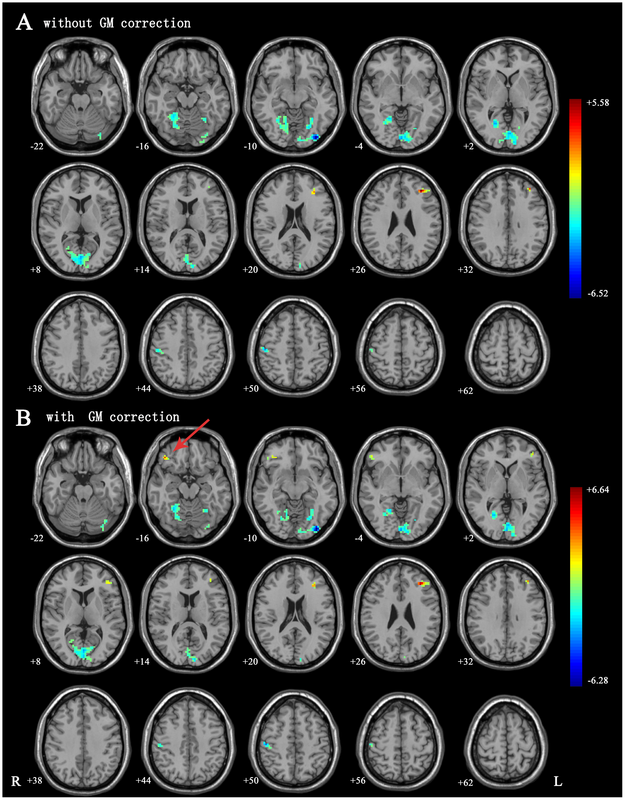 A randomized, placebo-controlled, double-blind phase IIb trial evaluating the safety and efficacy of tirasemtiv in patients with amyotrophic lateral sclerosis. Amyotroph Lateral Scler Frontotemporal Degener. 2016 Jul-Aug;17(5-6):426-35. [PubMed]. Russell AJ, Hartman JJ, Hinken AC, Muci AR, Kawas R, Driscoll L, Godinez G, Lee KH, Marquez D, Browne WF 4th, Chen MM, Clarke D, Collibee SE, Garard M, Hansen R, Jia Z, Lu PP, Rodriguez H, Saikali KG, Schaletzky J, Vijayakumar V, Albertus DL, Claflin DR, Morgans DJ, Morgan BP, Malik FI. Activation of fast skeletal muscle troponin as a potential therapeutic approach for treating neuromuscular diseases. Nat Med. 2012 Feb 19;18(3):452-5. [PubMed].